Today is the “four weeks to go” mark before Christmas arrives. Put another way, it’s officially the “You can’t put it off any longer” season. 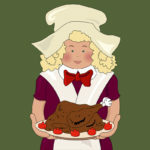 No Fuss Lights Wishes You a Happy Thanksgiving! No Fuss Lights wants to take this opportunity to wish you and yours a happy and memorable Thanksgiving. What Does the Fox (TV Affiliate) Say About No Fuss Lights? 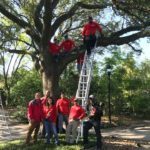 Earlier this week, KRIV-TV FOX 26 visited our No Fuss Lights crew while we were decorating a home, and reporter Rashi Vatts spoke with owner John Emanuel about decorating for Christmas in November. We at No Fuss Lights have been working from dusk til dawn almost every day. And we spent much of the last week decorating two different neighborhoods. 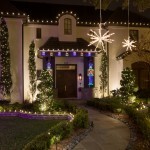 No Fuss Lights - Your outdoor lighting specialists based in Houston, TX. 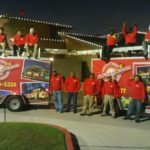 We offer custom outdoor lighting design, installation, maintenance, removal, and storage for Christmas displays, events and parties, and landscape illumination. In addition to lights, we also offer wreaths, ribbons, ornaments, lighted archways, and a large selection of lawn displays. View testimonials from our customers. Follow us online at Facebook and Twitter! We'll be sending out updates when we add newly-decorated homes to our portfolio. We're also going to be holding contests. You'll want to find out who wins and how you could win! Happy National Pizza with the Works Except Anchovies Day! Are you a Houston-Area Hallmark Holiday Habitué? Call us or send us a message if you'd like to get a quote. Our trained lighting professionals will discuss your options and schedule a time to give you a formal estimate. Our phone number is 281.809.7021, or you can fill out the form by clicking here. 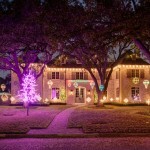 © 2019 No Fuss Lights - Christmas Light Installation in Houston, Tx.